Hi, Fiona Soutter here from Super Savvy Business with this week’s business news update. 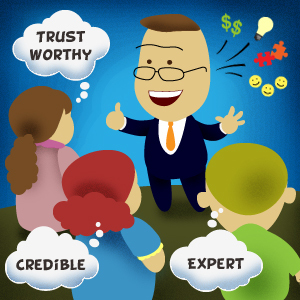 One thing I know a lot of business owners want to do is to increase their credibility and trust factor to reach a wider audience. And one of the strategies a lot of people don’t think about or perhaps aren’t aware of is the idea of something called guest blogging. This is where you, as the expert within your particular niche or market area, contact website owners that already have your target market and you offer to create content for them on a regular basis, whether that be weekly or monthly – but probably we wouldn’t go longer than that. But the beautiful thing about this is that it will increase your expert status, it will build relations with other people from your niche and market place but also allow you to capture a wider audience, specifically if you find businesses that are complementary to yours. Of course, because this is written/video content on somebody else’s site you have the ability to have a link back to your site. So there is also the link juice factor from a Google point of view and Penguin point of view (that is, Penguin algorithm update from Google); it means that you are getting a genuine links back to your site which is going to help you increase the ranking of your site and, as a result, the traffic to your site. 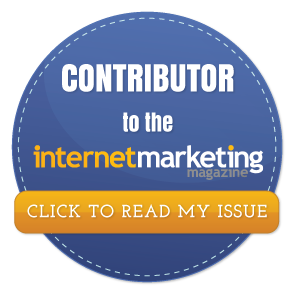 So if you are not already doing guest blogging, have a look around at some websites and perhaps contact some owners to see whether or not they might consider allowing you to create content for their website. And to be honest, a lot of website owners are open to that because we all have the same pressures of needing to have a lot of fresh content on our sites. The next thing I would like to touch on is the idea of staying in touch. If you have a regular newsletter such as a weekly video like the one that I do for you today or perhaps a direct mail campaign, a direct printed newsletter – it allows you to stay in touch with your customers or your potential customers. The benefit of having a newsletter is that it shows your clients or your potential clients the problems you can solve for them. It also helps to build the trust and credibility factor and when they are ready to purchase they will have you front of mind. You see there is a relationship between frequency of contact and frequency of purchases. So get in front of your customers, your best customers as often as you can. It does take a little bit of discipline – it’s a bit like an athlete, you can’t just expect to walk out on a track and get a win without any training or preparation. So treat your customers the same way. Create your routine and once you get into the habit you find that it’s really not that hard. Stay omnipresent, stay in the front of mind of your customers so that when they’re looking for a solution to a problem they are more likely to come to you. Next – one of the discussions that is going on within the Savvy Mastermind group is the idea of going deep and not too thin. A lot of business owners tend to spread themselves too thin and as a result, don’t do particularly well in any of the areas of their business. Choose the area that is going to give you the biggest pay off and focus on that. Get it running well before you step sideways to go in another direction. Focus on the things that are going to get you closer to your goals in a quicker time frame. Finally for today’s business news update is: I would really like to stress the importance of listening to your internal dialogue. I’m a true believer that your internal dialogue has a direct correlation to the results that you get. During the Savvy Mastermind weekly calls I often hear people say ‘Oh, I can’t do that’ or ‘I’m not very good at that’ or ‘this is just really way too hard’. The thing is that if you keep telling yourself that your subconscious mind is going to listen and eventually is going to take that on a self-limiting thought and a pattern of behavior will derive from that. So try to reframe the way that you are thinking and be aware of what you’re saying to yourself. So if you hear yourself saying things that are going to be self-limiting, try to reframe it. Rather than saying ‘I can’t do that’ you could say something to yourself like, ‘That’s a challenge, but I know that I can learn how to do that’. It’s just a simple little reframe, a change of perspective, but I’m fairly sure that you will find like I did when I started to reframe those thought patterns that you do start to get much better results in your business. So that’s all we have for this week’s business news update, my name is Fiona Soutter from Super Savvy Business and I look forward to seeing you next week.